We visited Snow Playground Talma near Helsinki! 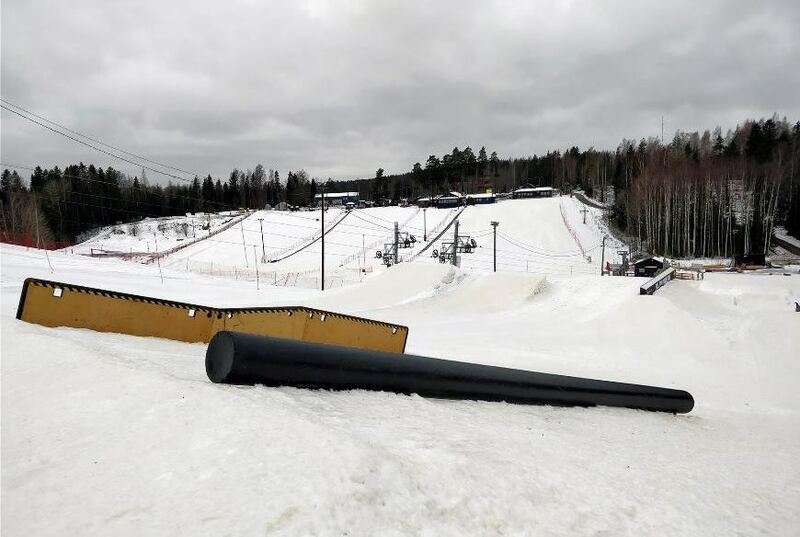 Talma Ski in Sipoo, near Helsinki, is one of the few places in the Helsinki metropolitan area where you can enjoy the winter activities, even if there is no snow in your backyard. The snowmaking system in Talma guarantees that there is snow - no matter what the weather is on winter time. LikeFinland Team visited Talma right after Christmas a year ago, and again in spring 2017. Now we asked Talma's Jani Pihlajaniemi, how the season 2017-2018 has started. Talma has made much snow by snow blewers, and in Saturday Jan 27th 2018, also another snow park near the back slopes will be opened! In the last weeks Talma has already opened the most of its slopes and the snow park (in the front side) as well as Werneri Park for children! When we visited in Talma a year ago at Christmas time, it was clear that many skiers had gone searching for the snowy slopes from the ski resorts of Lapland. We enjoyed the good slopes of Talma and its laid-back atmosphere. There was not too much traffic either in the parking lot, at the ski rental, lifts or in the restaurant. More of this! The slope and the elevator capacity has been improved in this and last season. In Talma you can find winter activities for all ages and levels of skiers. Werneri Park is especially for the smaller ones with toboggan and snowtube hills, snowtube carousel and an adventure trail. A large tree top adventure park - built in summer 2016 - is not in use during the winter. Snowtube-rings, snow scoots, bobsleds and toboggas are freely available in Werneri Park. The hills are well maintained, whatever the weather. Talma's season workers Mira and Niko. Mira told that seeing joy and smile on childrens' faces is the best reward you can get. A couple of winters ago there was built an own adventure trail for children in the Werneri Park. There is also a warm little hut, where you can grill sausages and eat your own sandwiches or other snacks. Although Werneri Park is monitored, children under school age should not be left there alone. Good to know! You can meet Werneri mascot on weekends at 11-14. Ticket prices of Werneri Park: Adults and children 4 years or over: 13 € / day, 8 € / after 16 pm, 40 € / family (4 people). There are nowadays two user-friendly carpet lifts in Talma. Talma has a popular ski school with about thirty active ski instructors, both men and women, young and more experienced. We went to ask some tips on how to get started with snowboarding. Ski instructors reminded that if you are going to learn a new hobby by yourself, the interest may end without a good guidance. In Talma there will be held dozens of elementary and advanced courses in skiing and snowboarding over the period. It was nice to have a break at a restaurant with a friendly service and a cosy atmosphere. We ordered a pasta of the day, which tasted really good after an active day. Restaurant offers also pizza and burgers, as well as traditional café treats croissants and donuts. One of the best parts of Talma is the fact that it is located close to Helsinki, and that there's fun for the whole family. The slopes are suitable for all ages. A good thing is that Talma has fun things to do also for those children that are not skiing enthusiasts. A Snowtube hill at Werneri Park is a great experience for young and old! Monday to Friday from 10 to 20.30, Sat 10-19, Sun 10-18. Children under 6 years of age wearing a helmet, together with the ticket paid adult, free of charge (does not apply to Werneri Park). Children under 4 years accompanied by a parent with a ticket is allowed to go to Werneri Park for free.